Well here we have a rare item which I’ve never heard of before and we’re lacking details on the background of this one. 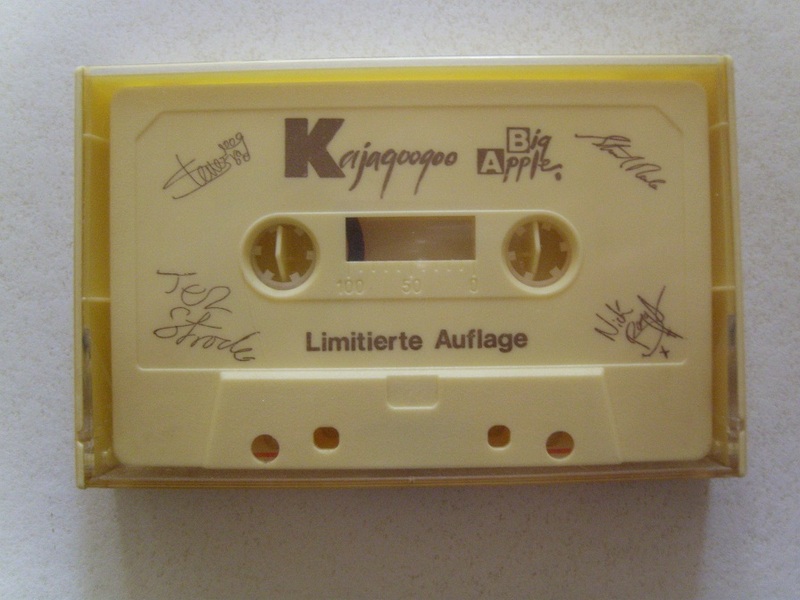 It’s a cassette which is of German origin and is only recorded on one side. It has a spoken message from Stuart and then the track Big Apple plays. It also has these printed signatures on there. The text on the tape translates as ‘Limited Edition’. Does anyone know where this tape comes from, how and why it exists? Many thanks to Florian Hohring for sharing another brilliant item. I’m not 100% sure but I think that was a giveaway with a pop magazine?